I've heard a lot of good things about the Peter Thomas Roth Line. During the holidays you can find all kinds of sample kits to try,which I always love to get. You can get skincare, makeup and perfume kits. So this past December when Sephora was having there VIB Rouge or 20% off sale, I picked up a few skincare kits. 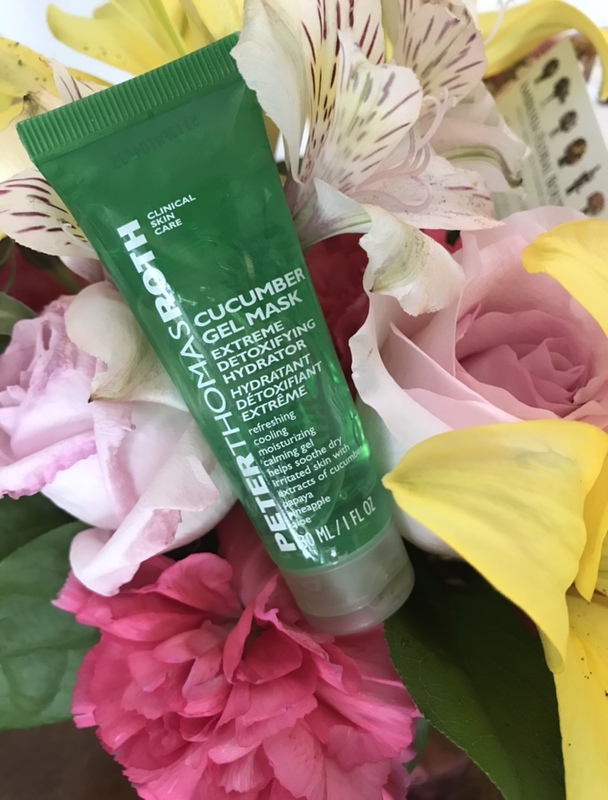 The #PTR Cult Classics package I purchased had this Peter Thomas Roth Gel Mask. A little about my skin first. I have combination skin, but during the winters I have combo/dry skin and opposite during the summer. As I'm getting older I like to try and make my skin stay youthful and hydrated. My skin is so dry that I like to try and calm the redness and pulling that can sometimes happen. It can also get patchy as well. I pulled this mask out of the package, when I received it early December, and tried it one morning when my skin was feeling super dry, red and patchy. After washing my face I applied a generous layer of the mask on and let it sit for 10 minutes. After the 10 minutes I gently washed it off and loved how it felt on my skin. It didn't feel irritated or dry anymore and I proceeded to put my makeup on. The mask calmed my skin so much that it didn't leave any patchiness showing through the makeup. The package says you can use it 1-2 times weekly or even daily. That first week I used it daily as my skin need to get back to normal. Now that it's been about a month I use it probably twice a week so that it doesn't get to the point of being dry and patchy. This is definitely one product that I would say everyone needs in their routine who has pretty dry skin. Once I've gone through this sample I will definitely be repurchasing the full size.